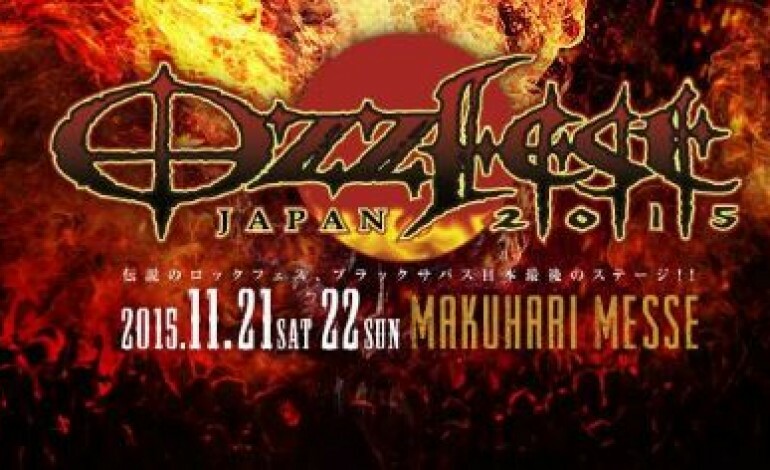 The full lineup for Ozzfest Japan 2015 has been released. The second-ever festival is set to take place November 21-22 in Chiba, Japan at the Makuhari Messe International Exhibition Hall. After its inception in 2013, Ozzfest Japan is returning with a powerful lineup this year. The festival hosted an impressive list of metal acts in 2013 including Slipknot, Slash, Deftones, Tool, and Stone Sour. This year, it’s been announced that Ozzy Osbourne (and Friends), Korn, and Evanescence will all be headlining. Ozzy’s performance will be one of only six he’s scheduled for 2015. While he was originally supposed to headline with Black Sabbath for the festival for what was supposed to be their final performance, the band recently pulled out from the gig. No explanation has been provided for the switch, however it has been known that guitarist Tony Iommi has been battling with cancer. Ozzy’s solo appearance is still sure to draw quite the crowd. Korn is currently celebrating their 20th anniversary as a band as they prepare to take the Ozzfest stage. They’ve been playing their first album from beginning to end at specific shows throughout the year. Evanescence will be making their Ozzfest Japan debut this year. This will also be the only performance scheduled for the band in 2015.